The high profile collapse of shipping giant Hanjin this year left 97 of the company’s container ships adrift or at anchor, with no place to deliver their containers packed with the world’s manufactured goods, including automotive aftermarket parts. The Journal of Commerce reports that 93 of Hanjin’s container ships have now been unloaded and returned to service, boosting the global shipping market’s capacity. But that is not necessarily a good thing. The global ocean freight market has been in the doldrums for more than a year, and more empty ships will only drive shipping rates down. While that is helpful short term, it does not help the long term health of the ocean freight market. You can read an excellent summary of how the ocean freight situation is affecting the transportation of automotive parts on the searchautoparts.com website. 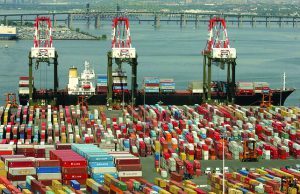 The article, written by James Guyette, explains how too little freight and too many vessels will result in some shipping lines following Hanjin’s lead and going under.